A short but sweet one for you today: on reachable shots, don’t get baited by the pin. Even if you don’t know what I mean, you know what I mean. How often have you stood over a lie, stared down the fairway, and leeeeaned out to the left just a little bit to see the pin lying temptingly around that last tree? On the one hand, you know your forehand isn’t your strongest throw…but on the other hand, look how perfect the forehand line is! You can just see it — a little flick and your Firebird screeches out into space, dips its right wing into the dirt, and skips around the corner to roll to a stop right under the basket, just like Sexton’s always do. But if you’re like me, what actually happens is you release a little early, maybe a little too much hyzer, and the thing blasts sideways into the brush and somehow you’ve turned a reachable shot into two strokes. My friend, you (and I) just got baited by the pin. We are suckers. Let’s rewind and replay. Take another look. While the pin is 25 feet off to the right, the fairway continues straight right past the basket. Now that you’ve taken your eyes off the pin, suddenly the shot looks different. Rather than forcing that forehand around the corner, maybe you could flip a putter down the fairway. It’s not going to be under the basket, but you can comfortably get it to 20 feet with minimal risk, and you know you can make that putt…eh, at least a couple of times out of 10. Too often I see people1 take unnecessary risks, or play away from their strengths in search of the perfect, pin-seeking shot. The pin is a useful target, but it doesn’t have to be the only thing you see. James is a contributor at Ultiworld Disc Golf. He played Ultimate from 2000-2015 for the Amherst HS Hurricanes, UMass ZooDisc, New Noise, Capitol Punishment, and Dark or Light. Now he plays disc golf for Team Wick (4x NETC champs) out of Wickham Park in Manchester, CT. One time he hit a tournament ace on camera. Despite that, he has not quit his day job as a high school teacher. Send questions and comments to bress.james@gmail.com. 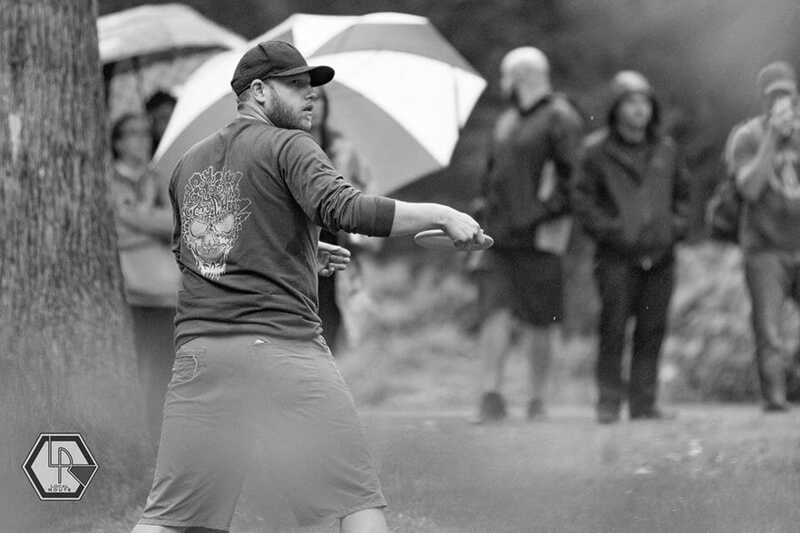 See what tournaments he's playing at his PDGA player page #84048. 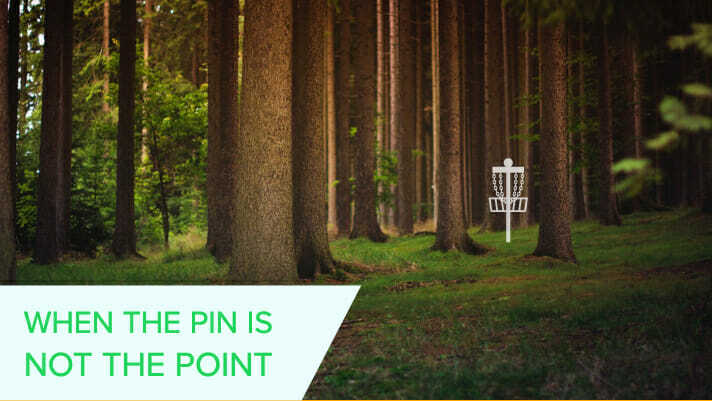 Comments on "Tuesday Tips: When The Pin Is Not The Point"